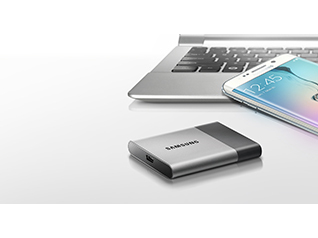 Keep your business data accessible and secure on the go with fast, compact and secure external storage. 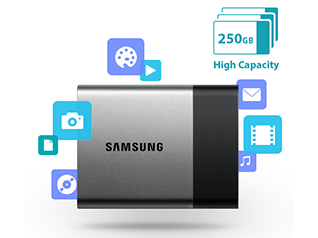 The Samsung Portable SSD T3 raises the bar for speed, capacity, durability and connectivity. Store data safely and access it wherever and whenever business demands. Reduce downtime with blazing-fast read/write speeds of up to 450 MB/s*, up to 4x faster than traditional 2.5” portable hard drives (HDD)**. 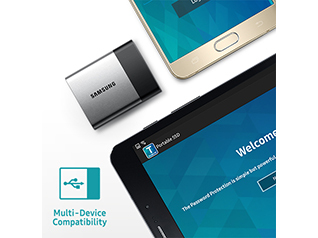 The T3 is designed to store and access your data wherever business takes you. Weighing less than 2 ounces*** and roughly the size of a business card for perfectly potent portability. 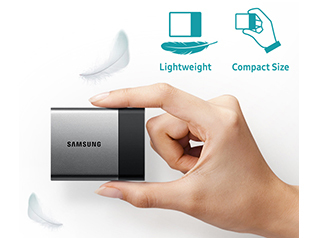 With advanced Samsung V-NAND technology the T3 packs a punch—up to 250GB capacity means you can fit all the business data you need in the palm of your hand. The shock-resistant T3 has no moving parts and a strong exterior metal body that can withstand up to 1500G of force, equivalent of a drop of up to 6.5 feet. 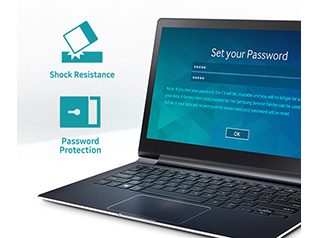 Together with AES 256-bit hardware encryption the T3 is prepared to meet the demands that business throws at it. 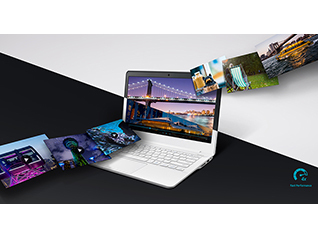 The T3 is compatible across multiple operating systems, so you can conveniently connect it to Windows, Mac OS and Android™ devices****. 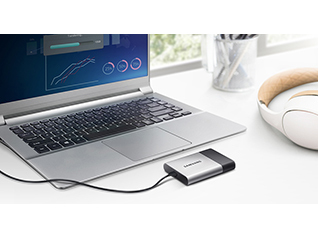 With the included, USB 3.1 Type-C connection port and USB Type-C to Type A cable, you can conveniently manage and access content.